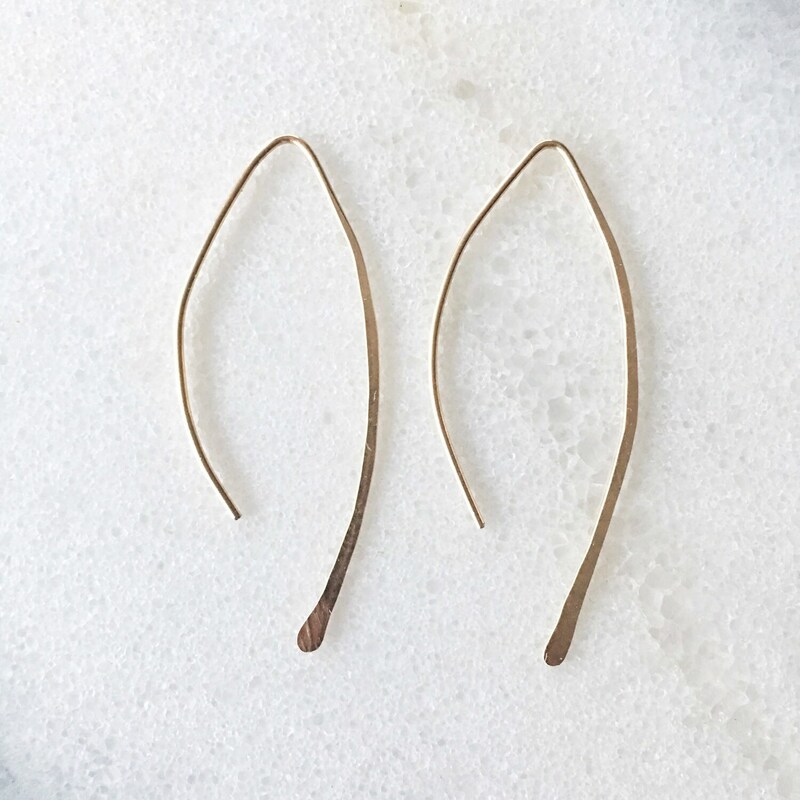 The earrings feature an open almond shape made out of 14K gold fill or sterling silver. Light weight and easy to wear! The front hangs 2 inches while the back hangs 1 inch approximately.